From unforgettable celebrations to the world’s biggest golf tournaments including the 2019 U.S. Open, Pebble Beach Resorts is home to extraordinary events of all shapes and sizes. Because when it comes to Pebble Beach, the greatest meeting of land and sea is also the greatest gathering place on Earth. Sundays - 10:00 a.m. - 2:00 p.m. Enjoy a lavish Sunday brunch overlooking the Pebble Beach Golf Links 18th green. Celebrate Easter at Pebble Beach with a grand brunch buffet. Daily starting at 10:00 a.m. Enjoy an unforgettable horseback riding experience through the beautiful Del Monte Forest. Children will enjoy this hand-led ride as they search for hidden eggs. Every evening from 5:45 p.m. to 6:30 p.m. Enjoy the sounds of the iconic Spanish Bay bagpiper at STICKS and the Spanish Bay fire pits. Learn why wines from the heart of Burgundy are the standard of quality. Join us for a Mother's Day celebration at Stillwater Bar & Grill. Sit and taste the Pebble Beach Centennial Wine with its very own winemaker, Andy Erickson. Examine the best way to end a meal and learn how to pair a dessert wine. Sample Janie Brooks Heuck's signature Reislings and Pinot Noirs from the Willamette Valley. Explore six of our favorite sparkling wines from around the world. The U.S. Open Championship returns to Pebble Beach Golf Links for a sixth time in 2019. Entering its 69th year, this prestigious competition is the highlight of Monterey Car Week. See past champions play alongside future stars at this unique PGA Champions TOUR tournament. Explore thought-provoking subjects with more than 20 award-winning authors and innovators. This three-day retreat combines hands-on demos with memorable meals. Indulge in unique dining experiences with more than 100 celebrity chefs and 250 wineries. Thurs.-Sat. from 7:00 - 10:00 p.m.
Fridays and Saturdays from 9:00 p.m. to 12:00 a.m. Enjoy live jazz music in Traps at The Inn at Spanish Bay every Saturday evening. 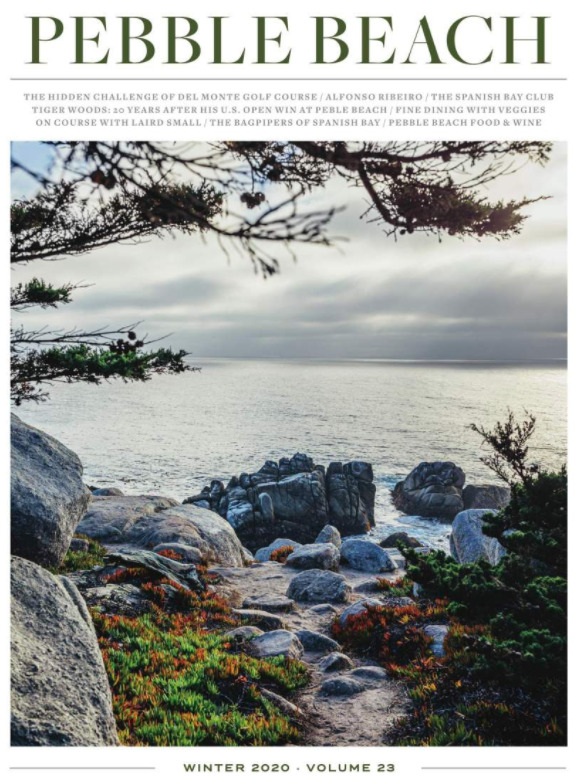 Don’t Miss Out on Upcoming Events & Special Offers: Become a Pebble Beach Insider Today! You can customize your experience at any time to receive only the information you want.